chiltonSkips.com, part of the Raymond Brown Group, invited both Compton and Beedon Primary Schools to take part in a lorry design competition for two of its newest lorries. 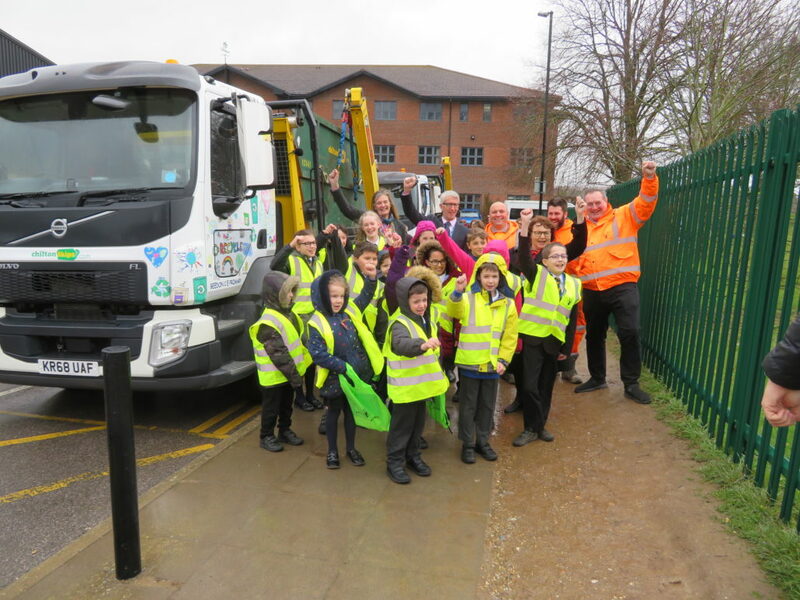 The children from across both schools were invited to take part in the competition by designing posters for the lorries based around the themes of recycling and sustainability. A number of posters were submitted and the Raymond Brown directors then selected winning designs for each lorry based on their brightly coloured key messages. On 12 March, the lorries were driven to the schools for an unveiling with the students and their parents and the winners presented with a Raymond Brown goody bag, certificate and a £10 book voucher by Councillor Jeanette Clifford, Executive Member, Transport and Countryside, West Berkshire Council and Jim Skinner from Raymond Brown. The students were also given the opportunity to sit in their lorry and have their photos taken in it and ask the drivers questions. Almost all of the Raymond Brown fleet of lorries have been designed by different local schools and both Beedon and Compton Primary Schools were suggested by one of the drivers’ sons, whose artwork now features proudly on the door of his father’s vehicle. The new Volvo FL250 lorries are the latest in their kind and feature new Multilift Futura Skip Loaders, they will be used to deliver and collect skips across Oxfordshire and West Berkshire.